The parish of Rhosllannerchrugog was created on 3 September 1844, from the township of Morton Above, and part of the township of Dinhinlle Ucha, which until then had been in the parish of Ruabon. St. John's church was consecrated on 4 October 1853. 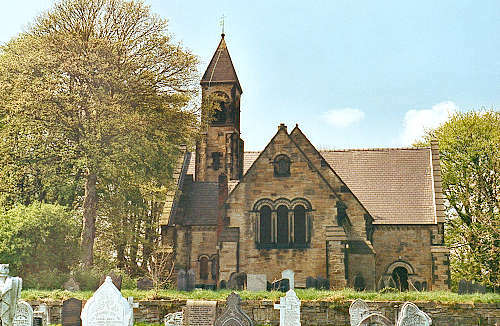 The church closed in 2004 and services were transferred to St. David's, in the centre of the village, and St. John's in Johnstown. This church was built on Broad Street in 1893 to serve the Welsh speaking congregation. This church was built on Merlin Street in 1929. For family history information about the church and parish, visit the GenUKI Rhosllannerchrugog page.